Kenneth Cole Mankind, the new men's edition Mankind Ultimate puts woody notes into center of attention. 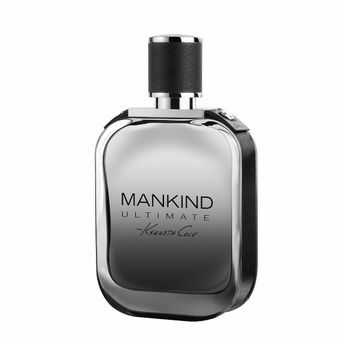 The new Mankind Ultimate contains intense woody accords, refreshed subtly with citruses and cucumber. Mankind Ultimate has been announced as a new addition to the collection Mankind which would celebrate the evolution of the modern man. He is self-confident, mentally strong and decisive to accept challenges of everyday life.The composition of Mankind Ultimate opens with freshness of citruses, aquatic notes and green, refreshing aromas of cucumber announcing a mixture of vetiver, sandalwood and cashmere notes. Warmth originates from tonka and musk, with a tart twist of moss. The new fragrance Mankind Ultimate comes in the same flacon form as its antecedent, but the glass is colored in gray this time.